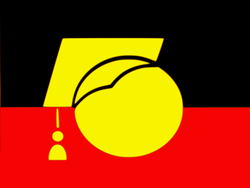 We acknowledge ​the original custodians on whose land we live and pay our respects to Elders past, present and future. Warning: This website may contain voices and images of people who have passed. 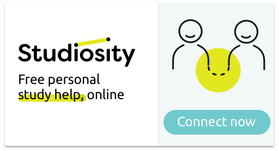 Campbelltown Library (and other public libraries around NSW) provides free Studiosity online study and assignment help from qualified tutors. Subjects include Maths, English, Science and more. National Reconciliation Week runs from 27 May to 3 June, and offers a great opportunity to celebrate Aboriginal and Torres Strait Islander peoples and their cultures. It also prompts us to consider some of the landmark events in the ongoing process of reconciliation. These dates commemorate two significant milestones in the reconciliation journey— the successful 1967 referendum, and the High Court Mabo decision respectively. National Reconciliation Week (NRW) is a time for all Australians to learn about our shared histories, cultures, and achievements, and to explore how each of us can contribute to achieving reconciliation in Australia. Reconciliation must live in the hearts, minds and actions of all Australians as we move forward, creating a nation strengthened by respectful relationships between the wider Australian community, and Aboriginal and Torres Strait Islander peoples. Our History urges us to consider the consequences of Australian laws, practices and policies for Aboriginal and Torres Strait Islander peoples. It seeks a commitment to ensure that past wrongs are not repeated. Our Story is about the importance of the struggle for reconciliation in Australian history and identity. It recounts the 'trauma and triumph told by Aboriginal and Torres Strait Islander peoples'*. Our Future emphasises the need for all Australians to share a genuine commitment to reconciliation and the principles of fairness and diversity. Recently, Reconciliation Australia also oversaw the Recognise campaign, promoting greater awareness of, and support for constitutional recognition of Australia’s First Peoples. We continue to work with Aboriginal and Torres Strait Islander groups, communities and individuals to see constitutional and legislative reform based on the recommendations of the Uluru Statement from the Heart. Reconciliation can no longer be seen as a single issue or agenda and the contemporary definition of reconciliation must weave all of these threads together. The passions of an Aboriginal astronomy guide. Can racism ever be casual? You can always do something a bout a fine even if you can't pay in full by the due date. - Apply to have the fine written off if you have serious financial, medical or domstic problems. Costello, C. (2013) Futorum Terra Nullius. [Copyrighted Image]. Image cannot be used without the express permission of the author.